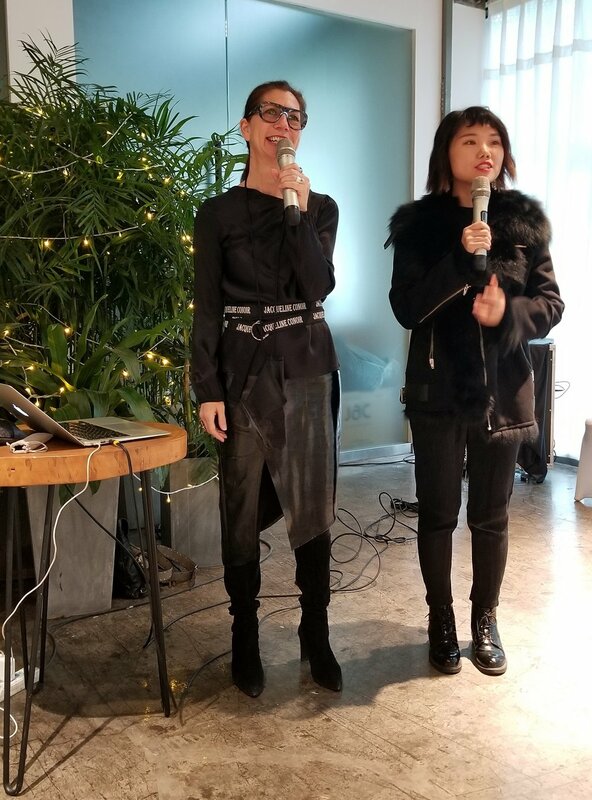 In December of 2018, Retail Insider’s west coast correspondent Helen Siwak traveled to Hangzhou, China to meet and interview Canadian fashion icon RozeMerie Cuevas to learn about the extensive JAC by JC retail presence in China, and to receive firsthand the details of the planned North American expansion and IPO. 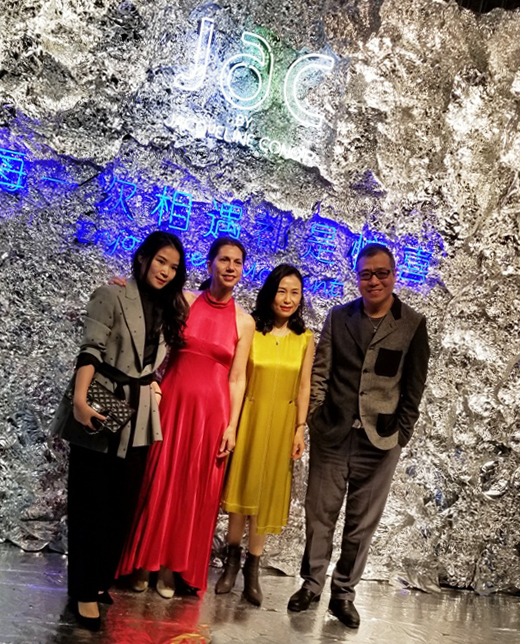 In Part I of this series, Siwak laid the groundwork of progress of JAC by JC in China, and its rapid expansion of this women’s wear brand to 101 stores, in less than three years. Siwak visited the headquarters in E-Fashion Town, the company-owned production facility and accompanying employee residence, store locations including an outlet, and the official JAC by JC headquarters. The visit to Hangzhou coincided with the yearly buying event attended by franchise owners and representatives of the JAC by JC owned-stores. 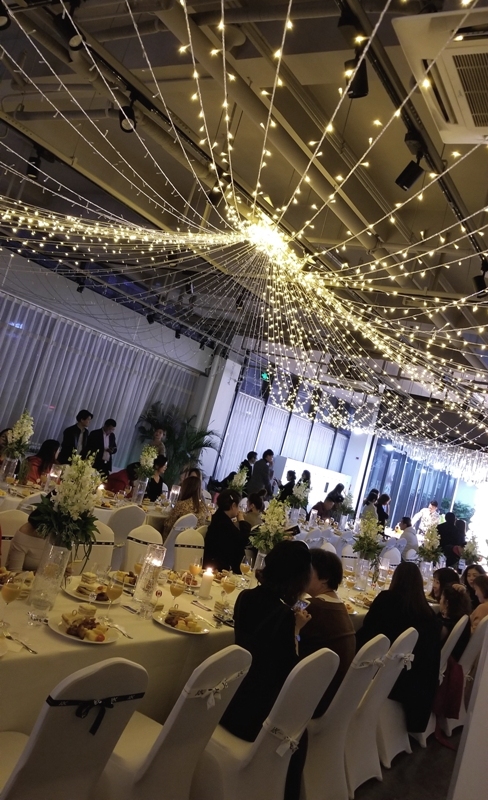 Staff and management had been preparing for weeks for this annual gathering. The first floor of the headquarters was converted to a showroom with a circular runway, racked product, and change area. 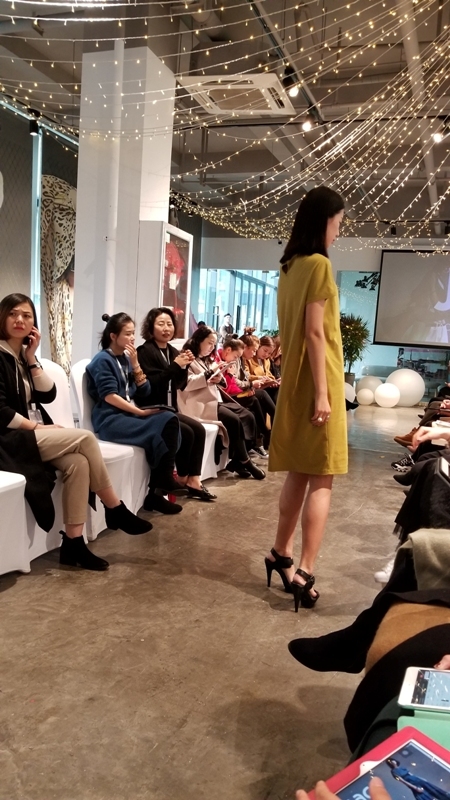 Seated buyers actively participated in the selection process, stopping models to inspect garments as they passed, and asking questions of the MC who provided a garment narrative as each model walked. Fabric selections are especially important to buyers as the brand has built its reputation on quality construction and top textiles like silk, cashmere, wool, cotton, tercel, cupro, and modal. 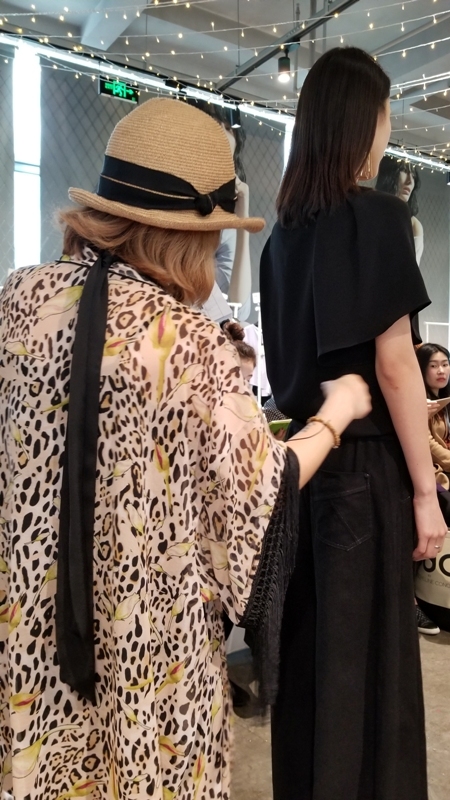 Over the course of the day, the four collections for 2019 were presented, selected, the results tabulated, followed by a break wherein the attendees tried on the top chosen selections to gauge fabric/construction, wear-ability, and desirability by their market. 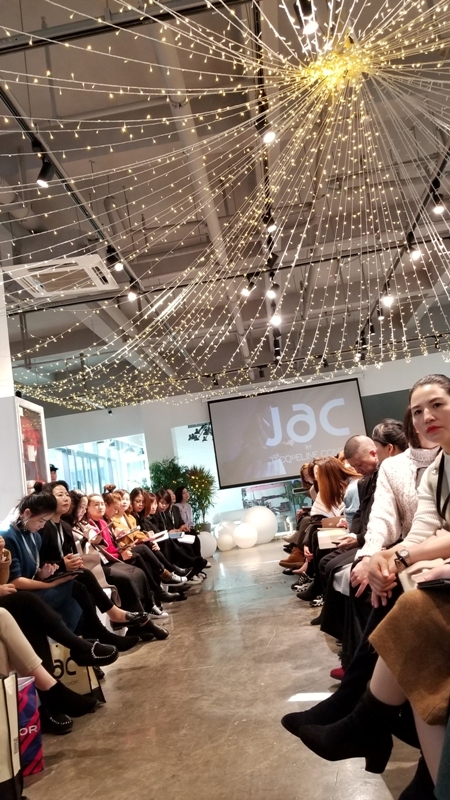 This process was repeated until each season’s offerings were culled down and the selection of JAC by JC garments, which would go into production, was finalized. Garments with an affordable luxury price point of $300-$800 for outerwear, $150-$250 for tops, and $250-$450 for dresses. It was a rigorous process observed closely by Cuevas and her business partner Bruce Li. The day concluded with a sit-down dinner with inspiring speeches, showy cocktails mixed by a rock-a-billy bartender, rousing karaoke, photos on a media wall, and dancing to a Russian cover band. 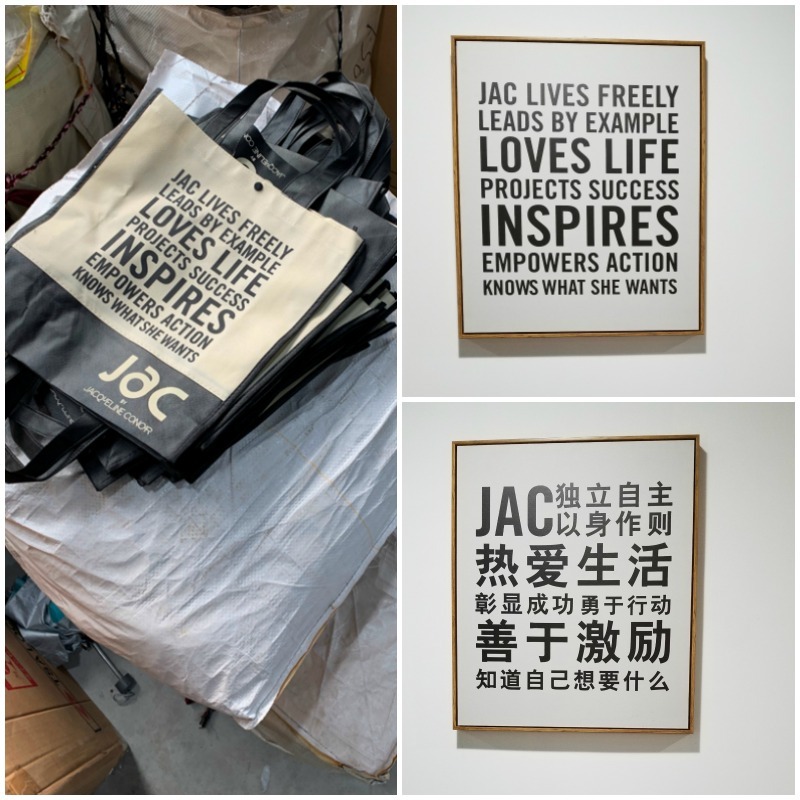 The atmosphere was one of teamwork, closeness and familiarity and was a perfect example of the JAC by JC philosophy at work creating a business environment that facilitates success through empowerment. 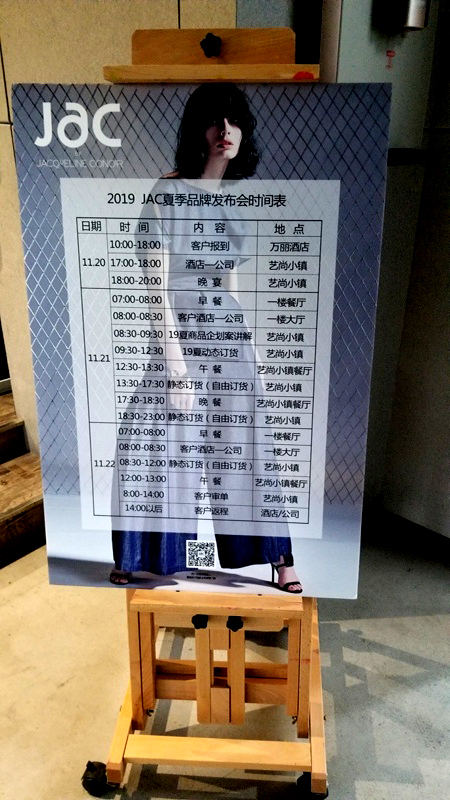 In addition to the 101 freestanding JAC by JC stores, the company is working on 35 additional locations to open in China in 2019. Store roll-out is relatively seamless as the model has been perfected and the interior components are all manufactured in China. 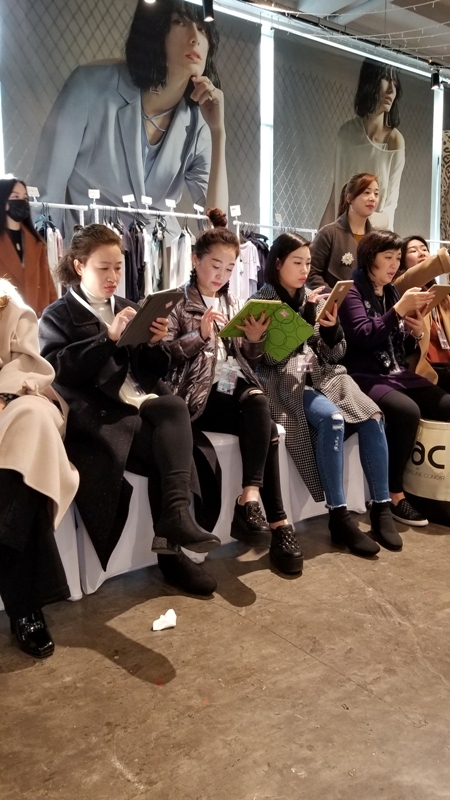 The company is also in discussions with a very successful online company because “the future of fashion will require both retail and online to work together,” says Cuevas. Cuevas is in Vancouver until February 17th with plans to meet with as many potential business partners as possible during the trip. JAC by JC is seeking a partner(s) with retail experience and a $5,000,000 capital investment to facilitate the roll-out of stores across Canada, ideally in the urban centres of Vancouver, Calgary, Edmonton, Toronto, and Ottawa; with favoured American cities including Seattle, San Francisco, and New York. 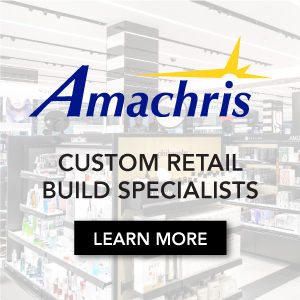 AAA retail locations of 1,000-1,500-square-feet in high traffic areas would receive preferential consideration. All interested parties are asked to contact RozeMerie Cuevas directly at rozemerie@jcstudio.ca or WeChat: Rozemerie. *Disclosure: JAC by JC facilitated accommodation and transportation for Ms. Siwak’s visit to China.